Laser-Based Additive Manufacturing (LBAM) technologies, hailed by some as the "third industrial revolution," can increase product performance, while reducing time-to-market and manufacturing costs. 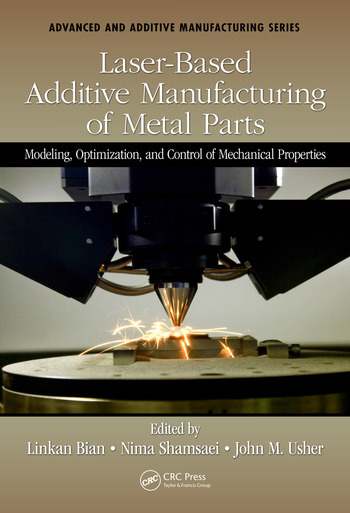 This book is a comprehensive look at new technologies in LBAM of metal parts, covering topics such as mechanical properties, microstructural features, thermal behavior and solidification, process parameters, optimization and control, uncertainty quantification, and more. 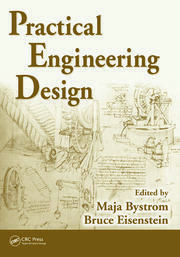 The book is aimed at addressing the needs of a diverse cross-section of engineers and professionals. Introduction and Background. Introduction to Laser-Based Additive Manufacturing Technologies. Recent Advances in laser-Based Additive Manufacturing. 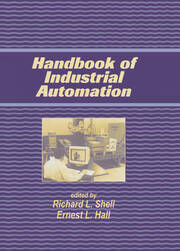 Process Fundamentals and the Mechanical Properties of Manufactured Parts. Microstructural and Mechanical Properties. Fatigue Behavior. Post Manufacturing Treatments. Laser Power Transfer and Thermal Monitoring. Summary of Process and Part Characterization. Design, Optimization, and Control. Part CAD. Process Optimization. Process Control. Uncertainty Qualification. Summary of Design Optimization and Control. Advanced Topics. Functionally Graded Materials. Applications of Additive Manufacturing. Dr. Linkan Bian is an assistant professor in Industrial and Systems Engineering Department at Mississippi State University. He received his Ph.D. degree in Industrial and Systems Engineering from Georgia Institute of Technology in 2013, a dual master degree in Statistics from Michigan State University, and a B.S. degree in Applied Mathematics from Beijing University in 2005. Dr. Bian research interests focus on the combination of data mining and optimization methods for modeling and control of Additive Manufacturing processes. Other applications of his research include cybersecurity and supply chains. He has received external funding from Department of Defense, Department of Energy, National Science Foundation, and industrial companies. 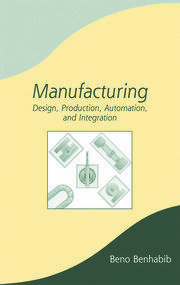 Dr. Bian’s publications have appeared in journals such as IIE (Institute of Industrial Engineering) Transactions, Additive Manufacturing, Rapid Prototyping, IEEE (Institute of Electrical and Electronics Engineers) Transactions, and other journals. His work has received multiple awards/nominations in the Quality and Reliability Engineering society. He is serving as a council member of DM-QSR (Data Mining – Quality, Statistics, Reliability) section within the INFORMS (Institute of Operations Research and Management Science) professional society. Dr. John M. Usher currently serves as Professor and Head of the Industrial & Systems Engineering department at Mississippi State University. He received his Ph.D. in Engineering Sciences at Louisiana State University, where he also earned master’s degrees in both Chemical and Industrial Engineering. As well, he has a bachelor’s degree in Chemical Engineering from the University of Florida. Prior to his academic career, John worked for Texas Instruments in the area of process development for the manufacture of multi-layer printed circuit boards. John’s research interests focus on production systems and systems simulation, modeling, and analysis, with applications in both manufacturing and transportation. He has published numerous papers in technical journals and conference proceedings, edited several books, and continues to serve on the editorial staff of several journals. John is a registered professional engineer in Mississippi and a senior member of IISE and SME. Dr. Nima Shamsaei is currently an associate professor in the Mechanical Engineering Department at Auburn University. He has several years of industry experience, most notably at Chrysler Group LLC as a senior engineer and a technical leader specializing in durability test development for all Chrysler products. He received his Ph.D. in Mechanical Engineering from University of Toledo in 2010. His B.S. and M.S. degrees in Mechanical Engineering were obtained from Isfahan University of Technology and Sharif University of Technology, respectively. Dr. Shamsaei has extensive research experience in additive manufacturing, mechanical behavior of materials, design, fatigue and failure analysis. He has published over 100 scientific papers in refereed journals and conference proceedings in the areas of fatigue and additive manufacturing. He is the founder and co-director of the Laboratory for Fatigue and Additive Manufacturing Excellence (FAME) at Auburn University and is currently leading multiple sponsored research projects from the National Science Foundation (NSF), Department of Defense (DOD), National Aeronautics and Space Administration (NASA), and several private companies. He is a member of ASME, TMS, AIAA, and SAE and is actively engaged in the ASTM E08 committee on Fatigue and Fracture and the F42 committee on Additive Manufacturing. Dr. Shamsaei is the recipient of multiple awards and recognitions including the SAE International Henry O. Fuchs Fatigue Award in 2010, the Schillig Special Teaching Award in 2015, and the ASTM International Emerging Professional Award in 2016. He is also a consultant for multiple private companies including Fiat Chrysler Automobiles.